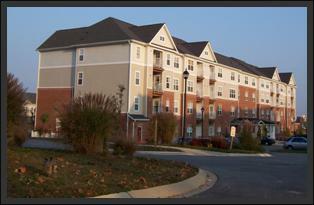 Calvert County is home to numerous safe, attractive residential communities. Residents are drawn to the county's rural character, good schools, low taxes and low crime rates. Encourage the availability of a variety of housing types to serve different age groups, family sizes and incomes of Calvert County citizens. Development of a housing information guide, which provides a listing of local housing resources. Incorporation of new planning and zoning tools to provide additional opportunities for the construction of affordable housing within the county. Partnership with the State of Maryland to provide down payment and closing cost assistance for first-time homebuyers through the House Keys 4 Employees Program. Waiver of the purchase of Transfer Development Rights (TDRs), (required for increased density housing) available for qualifying affordable housing developments.